MONTREAL, October 3, 2018 – On Sept. 14, Ether Innovations CEO Julien Michalk, creator of Ufrost, the world’s first instant freezing machine, met with Montreal’s Polytechnique University to present their newest collaborative innovation venture, the U-2 instant freezing machine. For the following eight months, this all-star team will develop a much smaller, more gas-efficient version to set up inconspicuously behind any bar or in any kitchen. Capable of dropping to temperatures of minus 98 degrees Celsius in roughly 60 seconds, the U1 machine brought about a new horizon to the gastronomy and mixology industry. Using only recycled Co2 gas to freeze the substances, the U1 can serve up to eight shots of any frozen consumable every minute. “I wanted to create a tool that helps people release their imagination. This is, after all, a tool and after four years of scientific research, I am happy that my machine can now create a little magic,” said Michalk. I wanted to create a tool that helps people release their imagination. This is, after all, a tool and after four years of scientific research, I am happy that my machine can now create a little magic. 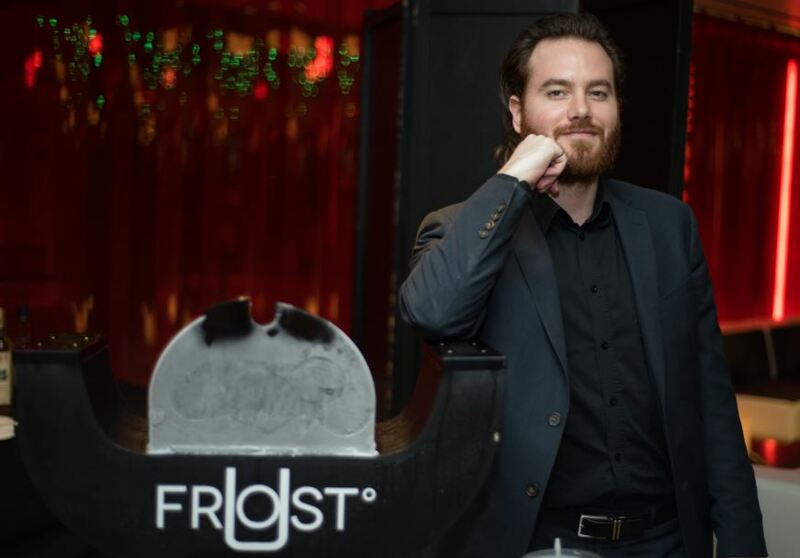 Since Early November, the team at Ufrost has been serving some of the most innovative frozen cocktail menus to top corporate clients such as Tourism Montreal and Desjardins, even appearing at the 2017 Bar and Nightclub tradeshow in Las Vegas. Teaming up with the winners of the Made with Love competition, Isaac Bedard and Pierre Gadoua, Ufrost offers a turnkey, fully customizable menu for party hosts where colors, flavors, textures and flare propel the theme of the night. “In the last 10 years, we have seldom changed our approach to wooing a crowd. The things we consumed at events just got more expensive and were made with rarer ingredients. I never felt this was a sustainable strategy. If we want to keep satisfying our desire for more intricate flavors, all we really needed to do is change the way they are prepared – bend the river, don’t change the water,” said Michalk. With the new U-2 machine, that is one-third of the size and twice as efficient, any bartender or line cook will be able to serve up a pair of frozen spheres with their signature dish. Ufrost is available for any sized event, always serving the best cocktails in town.